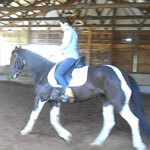 Training Broke to Ride. 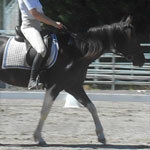 Trail and Arena. 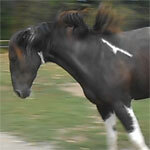 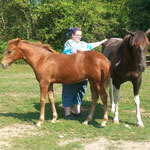 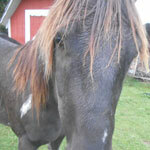 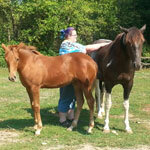 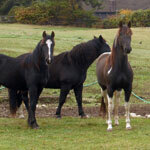 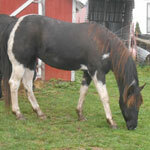 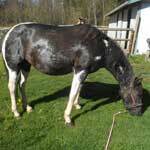 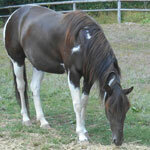 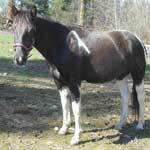 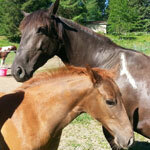 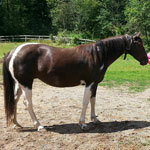 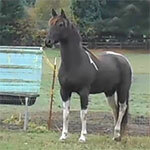 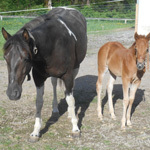 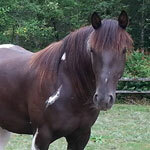 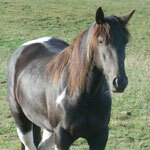 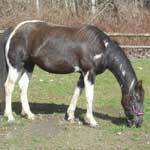 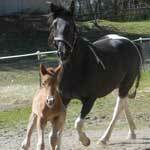 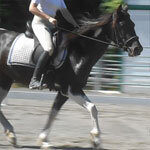 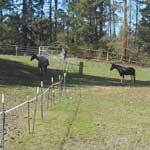 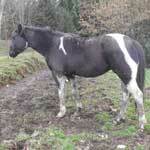 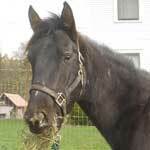 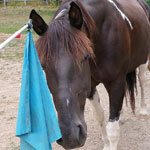 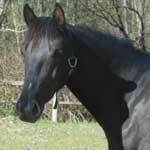 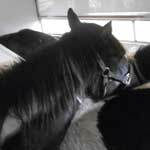 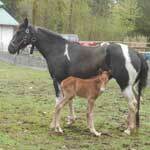 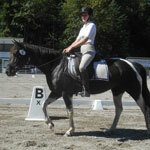 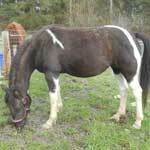 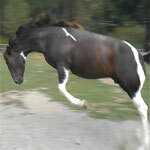 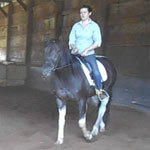 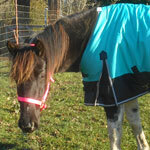 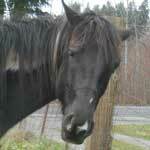 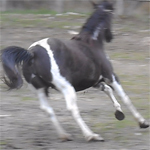 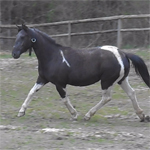 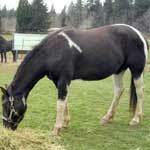 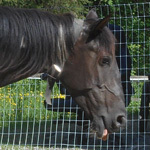 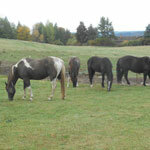 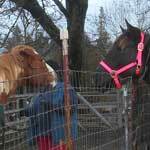 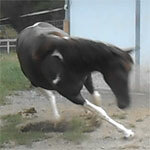 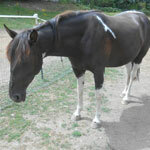 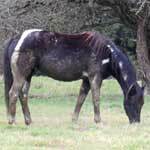 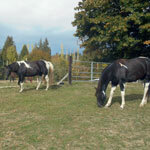 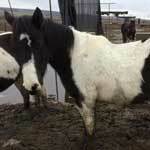 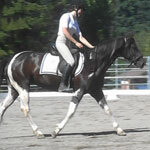 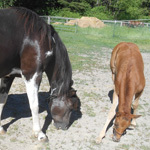 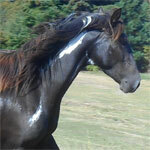 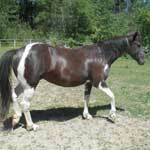 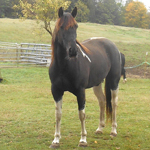 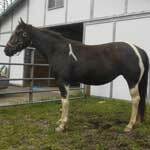 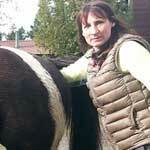 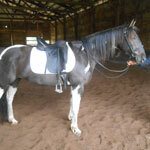 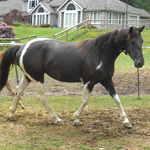 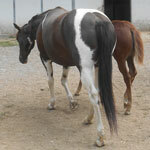 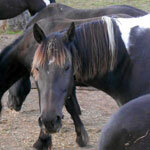 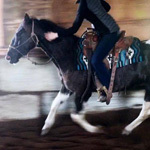 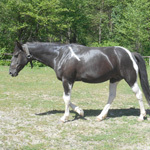 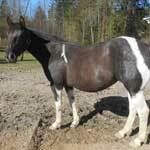 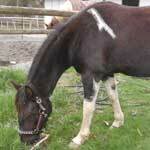 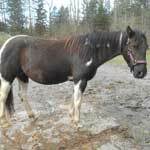 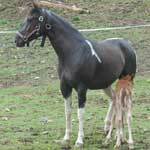 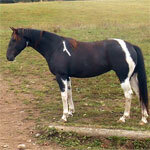 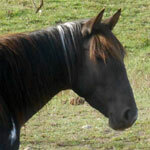 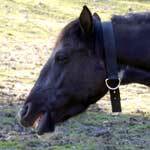 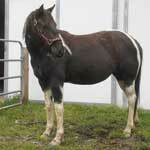 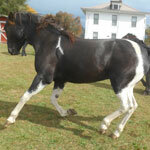 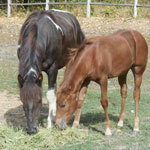 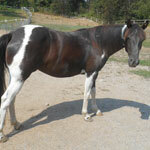 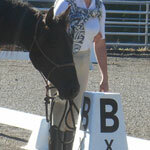 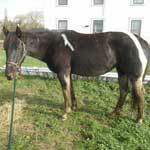 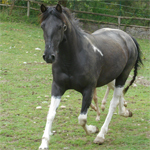 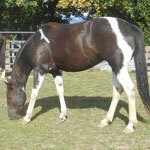 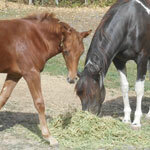 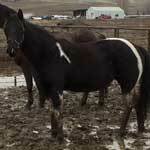 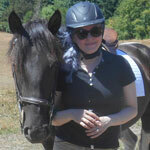 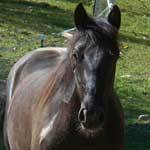 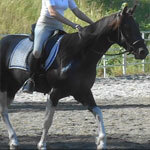 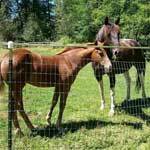 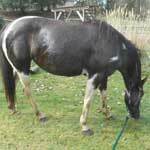 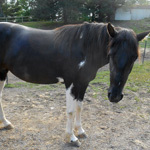 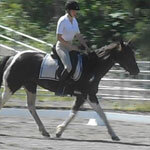 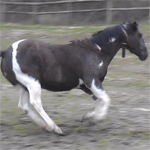 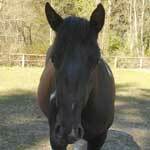 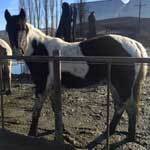 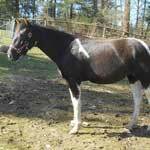 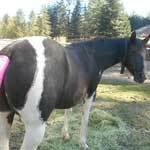 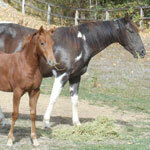 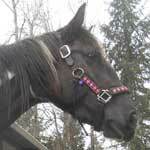 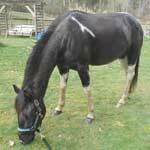 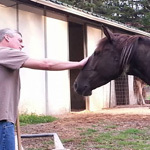 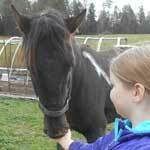 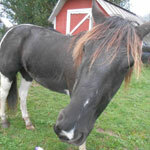 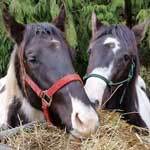 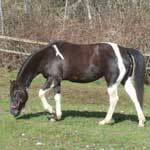 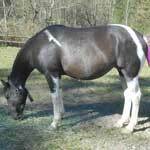 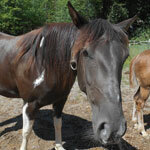 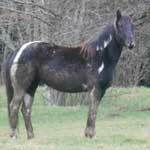 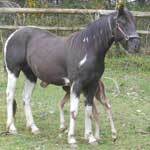 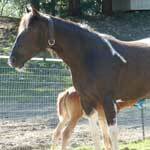 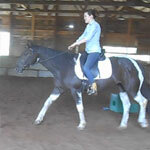 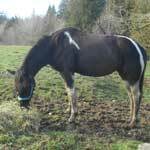 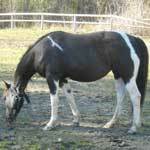 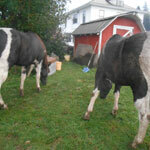 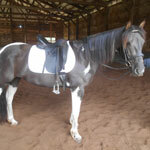 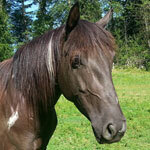 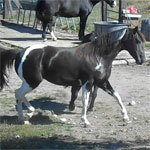 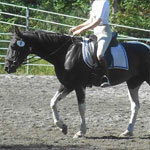 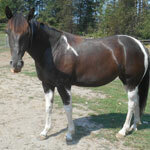 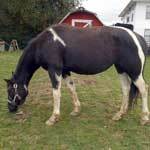 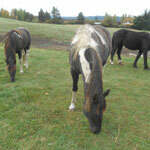 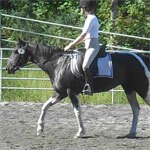 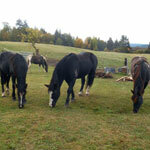 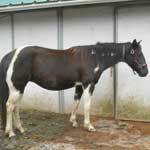 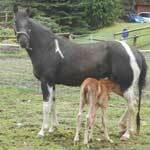 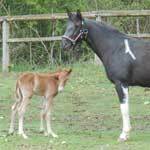 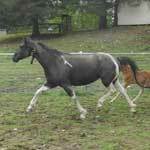 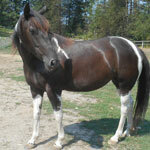 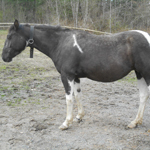 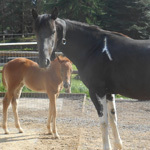 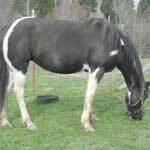 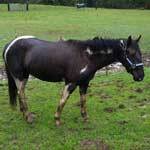 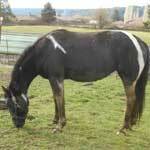 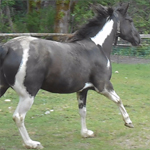 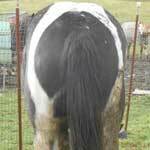 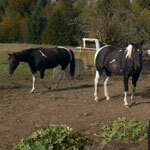 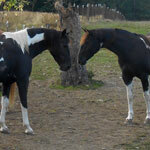 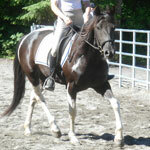 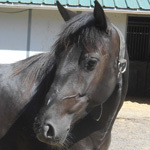 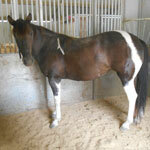 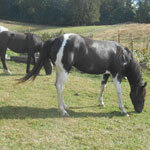 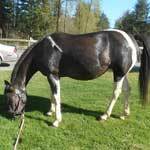 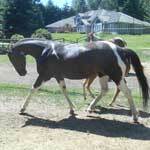 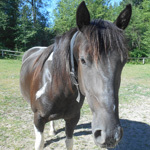 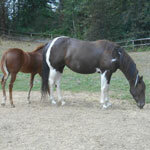 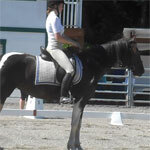 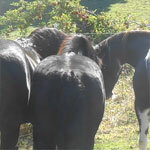 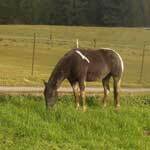 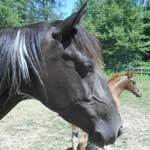 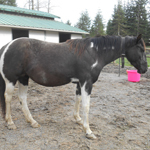 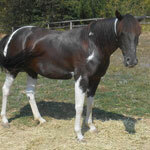 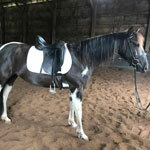 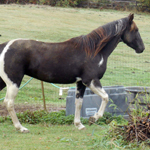 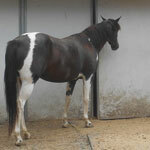 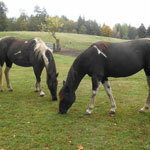 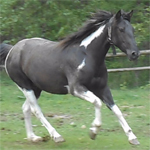 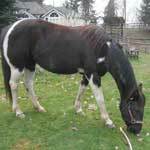 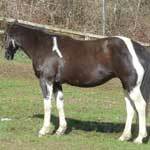 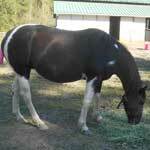 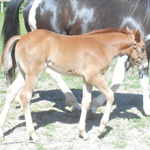 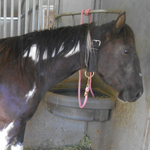 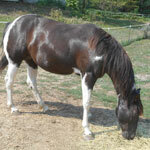 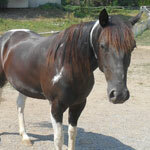 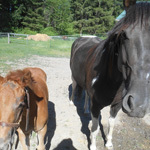 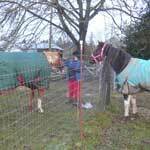 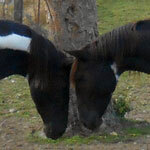 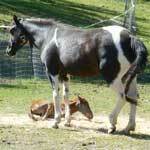 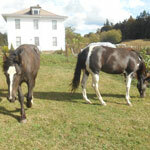 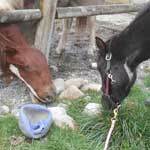 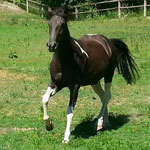 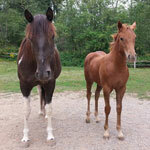 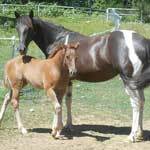 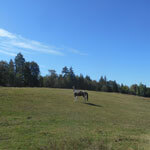 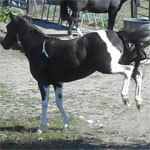 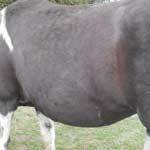 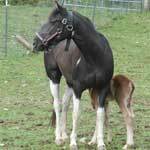 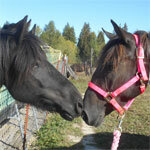 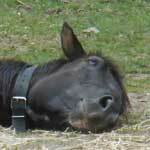 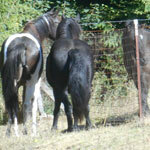 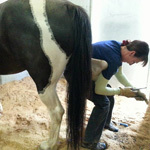 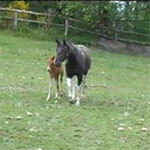 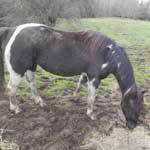 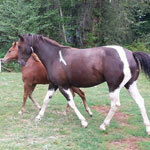 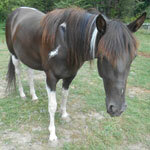 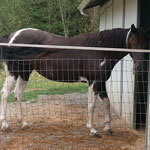 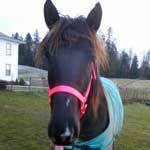 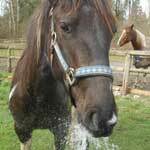 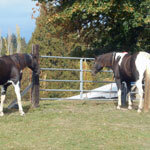 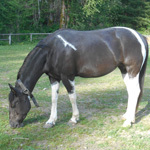 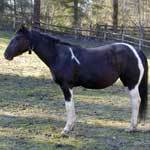 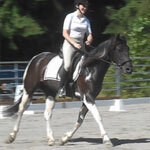 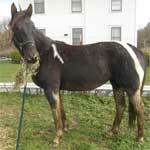 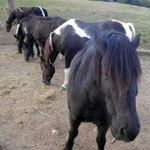 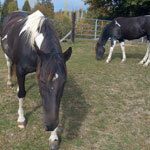 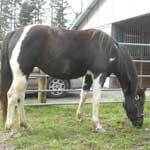 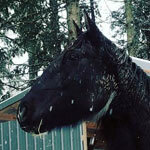 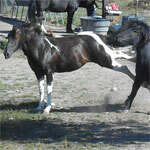 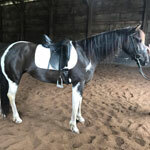 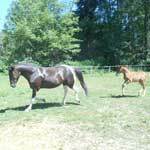 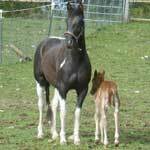 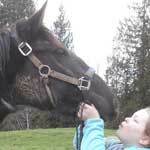 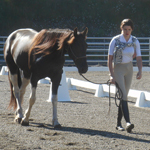 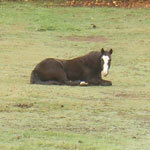 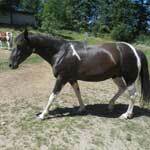 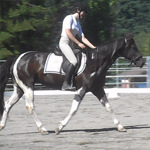 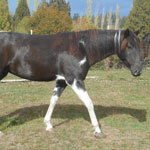 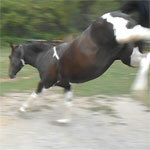 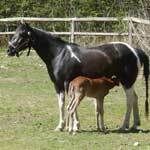 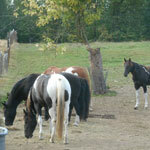 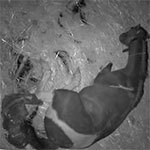 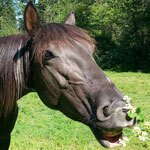 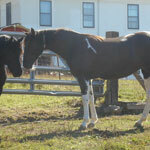 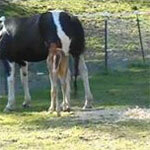 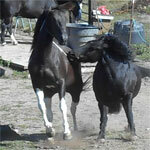 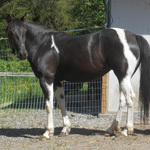 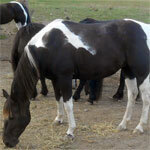 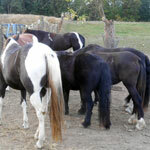 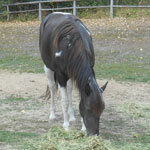 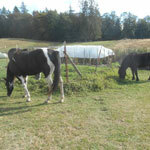 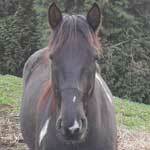 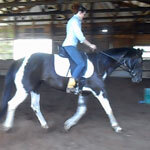 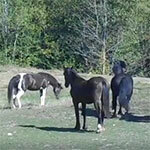 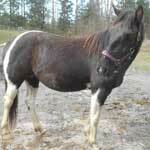 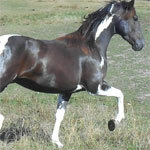 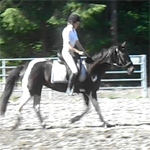 Gossip is a 6 year old 15hh black and white pinto mare said to be of Andalusian breeding. 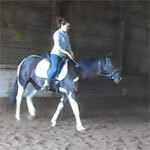 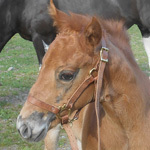 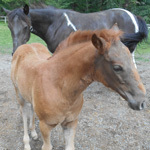 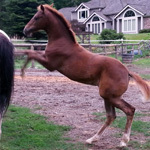 She has spent the last five months in professional training and is now broke to ride and getting ready for her new home. 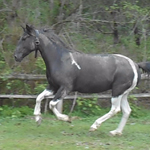 She has been out on trails and she loves them. 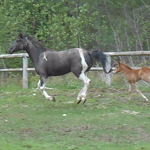 On the trails she will lead, follow, whatever and she will go right through water or anything else you point her at. 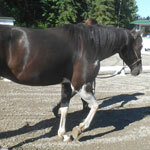 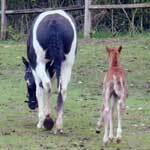 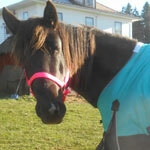 She has no problems in the arena either and will soon be attending some of our local shows. 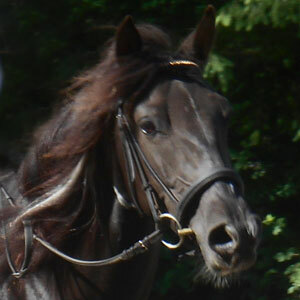 She will ride out in both English, Western and even bit-less. 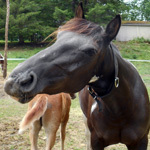 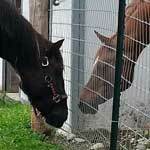 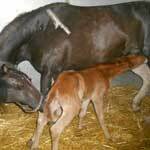 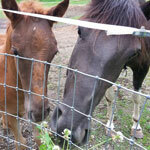 Gossip is not a spooky or complicated horse and is as honest as the day long. 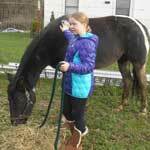 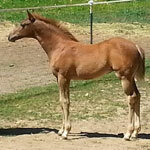 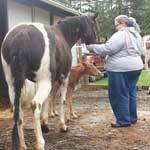 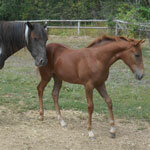 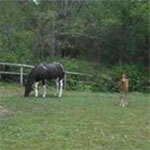 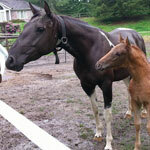 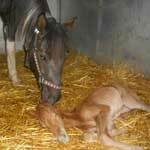 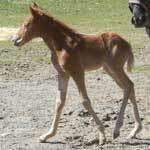 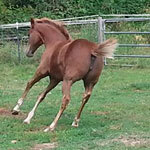 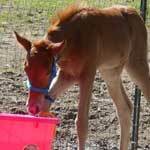 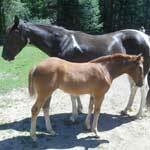 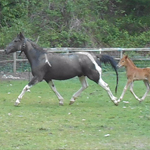 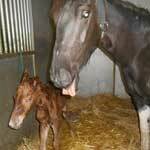 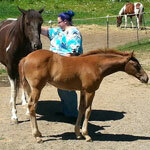 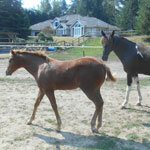 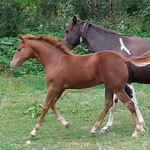 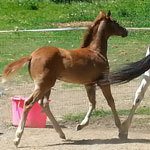 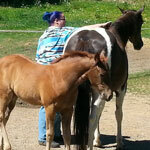 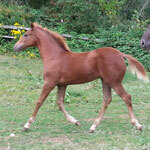 With more miles and a couple more years she will even make a great kids horse. 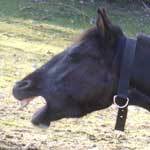 That is the kind of temperament that she has. 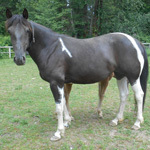 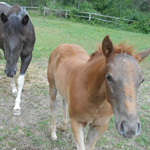 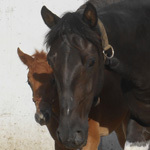 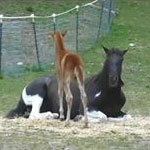 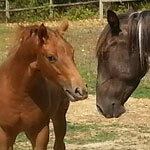 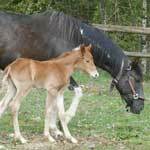 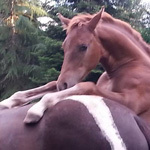 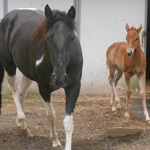 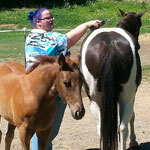 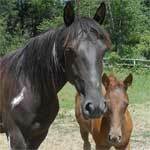 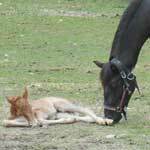 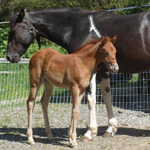 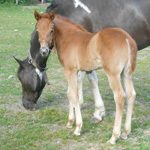 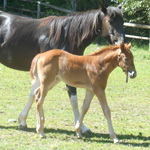 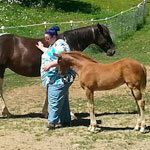 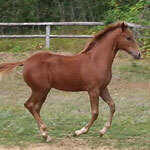 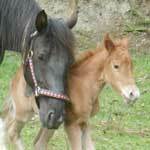 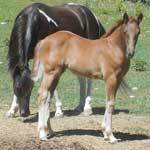 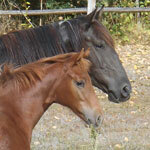 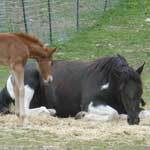 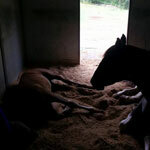 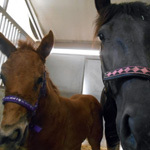 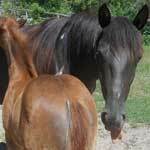 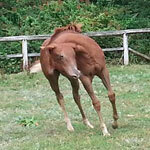 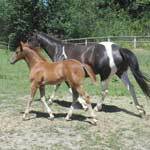 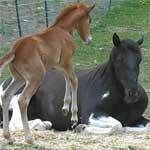 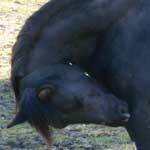 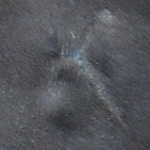 This is not a horse you have to force or bully, but a soft mare who will do anything for a kind word. 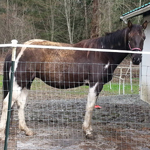 She bathes, stands for the farrier, is good for the vet and jumps into trailers with no problems. 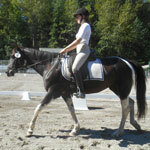 She has no vices, problems or holes - she just is young but has readily taken to her training. 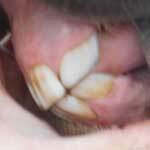 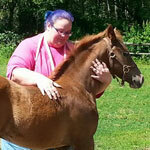 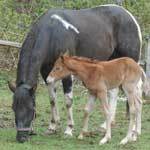 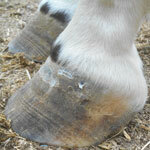 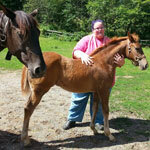 Gossip is fully up to date on her vet work, farrier work and her worming. 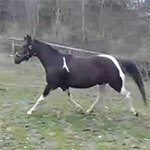 Gossip is a 6 year old 15hh black and white registered Pinto mare said to be of Andalusian breeding. 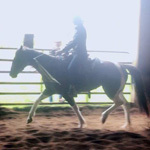 She has spent the last five months in professional training and is now broke to ride and getting ready for her new home. 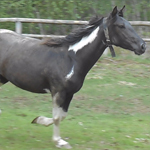 She has been out on trails and she loves them. 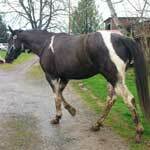 On the trails she will lead, follow, whatever and she will go right through water or anything else you point her at. 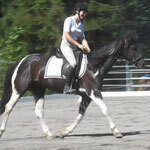 She has no problems in the arena either and has even done a schooling show in Dressage. 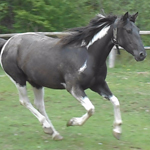 She will ride out in both English, Western and even bit-less. 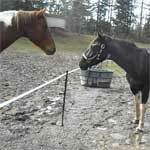 Gossip is not a spooky or complicated horse and is as honest as the day long. 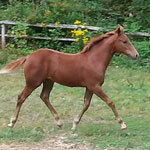 With more miles and a couple more years she will even make a great kids horse. 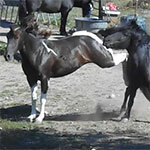 That is the kind of temperament that she has. 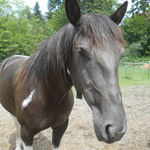 This is not a horse you have to force or bully, but a soft mare who will do anything for a kind word. 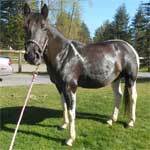 She bathes, stands for the farrier, is good for the vet and jumps into trailers with no problems. 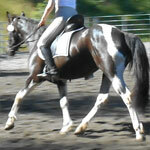 She has no known vices, problems or holes - she just is young but has readily taken to her training. 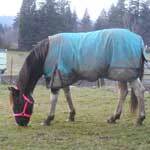 Gossip is fully up to date on her vet work, farrier work and her worming. 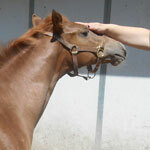 Gossip will continue in training until she is sold, but her price may go up to reflect the additional training costs.